Because of our traditions, we’ve kept our balance for many, many years. 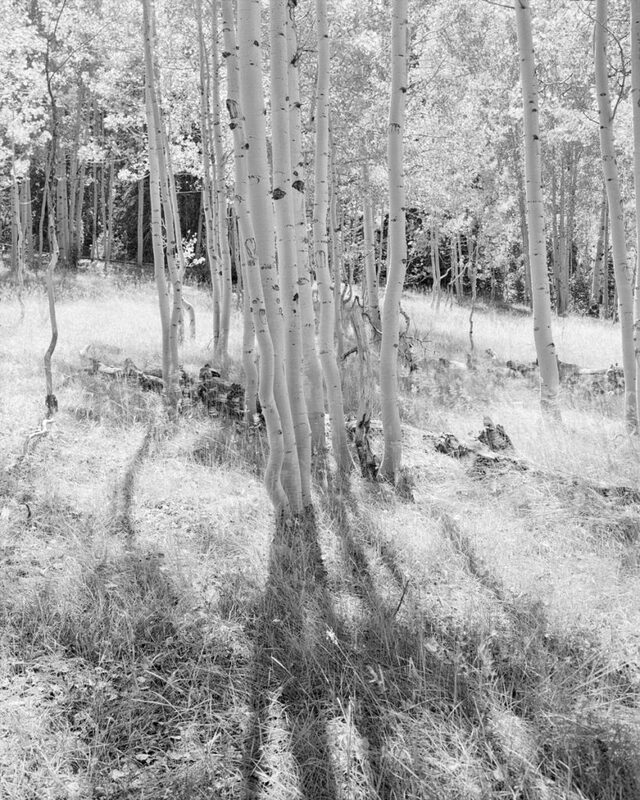 The path as a traditional black and white photographic artist is one that has been filled with many obstacles. Initially my foray into the seemingly arcane world of photography was pretty easy. At the time the whole of photography was built upon the film industry and it was very robust, an institution, and appeared as if the business would last forever. However, history advises nothing lasts forever no matter how seemingly indestructible and monumental. I learned the basics of film and print processing and thought I was doing pretty well with the knowledge and experience I had gained. This perception was ignorance on my part as my understanding was greatly expanded once I left the road of photography for a small path involving the fine art aspect of photography. I was suddenly exposed to the vast landscape of what was possible to produce with black and white film and the resulting print once I observed the works of Adams, Weston, Strand and others. A workshop with Barnbaum, McSaveny, and Sexton forever changed my vision and I have never looked back. I wrestled with the changes and initially did not think digital would attain the same resolution and creative capabilities as film. But as software and hardware finally caught up, the world of artistic photography opened greater creative worlds previously unseen with film. I found myself having to make what I felt was a decision of choosing one over the other. It is the impending loss of the physical and material nature of my medium that I find most disconcerting. Traditional photographs exist in the present as objects created in the past, susceptible to the imprint of time which is manifest in their physicality. They are material objects tangibly connected to the world through the nature of their creation: impressions created with silver filaments suspended in animal gelatin, altered by light and chemistry. In the digital world, images are produced with binary code and exist as information; the material magic of photography is lost. And something else may be lost, too. Photography as an art form has always been dependent for its existence on the availability of film itself, as surely as painters have depended on the availability of canvas and tubes of paint. But the availability of film has always depended in turn on demand from mass markets that have included amateurs, professionals, government agencies, the media, and the healthcare sector, to name but a few. Each of these enormous markets has switched to digital technologies because they are faster, cheaper, and more flexible. It is ironic to think that just as film has finally been freed from its mundane applications in the everyday world to be explored only as an artist’s material, it could very easily disappear altogether because these market forces no longer support the industry that makes it. But the tradition of darkroom and film photography is more than just the loss of a tangible record of processing an image. In some ways the loss is more than the loss of the materials used to create the images. There is a wonderful sense a spiritual completeness that I derive from the whole process. Methodically setting up, visualizing, and composing the image on the ground glass under the focusing cloth allows me to isolate the image with no outside distractions, loading the film holder, checking the lens settings, and finally tripping the shutter. But the process does not end there. Now comes the time in the darkroom. There are those photographers who used to use film who are now more than happy to not be stuck in a dark room with smelly chemicals. But I for one look forward to my time in the darkroom. There is a sense of the arcane as chemicals are mixed, trays filled with the various solutions that will make visible the invisible image concealed within a thin layer of gelatin and slivers of silver. The time is spent in a self imposed solitary setting, one that allows for not just the retrieval of the images observed and recorded, but time to reflect and enjoy time in quiet reflection. Once the film has been processed it is time to decide which negatives are worthy of printing. With more light than in the film process, there is the wonder of watching the image slowly materialize as the print is gently rocked in the solutions of its birth. This whole process for me is one of grateful solitude, reflection, and enlightenment. On more than one occasion I have found answers too many questions in my life outside of photography. And in some ways the darkroom is a confessional. Cut off from the outside, there is only the photographer and the results of his image making. The sins of a poor exposure, improper focus, a light breeze blowing, ill advised camera placement, and so on, are revealed. The penance for mistakes is experience and wisdom. In a post Guy Tal exams the differences between the traditional photographer and today’s photographers. It used to be that photography was the favored avocation of introverts, allowing unquestioned solitary time in a darkroom—a private world behind a closed door where magic unfolded in development trays under the eerie glow of a safelight, and where one could be alone with their thoughts, disconnected from society, without having to explain. The photographer then was an eccentric, an alchemist, an observer. Today’s mainstream photographers seem almost the opposite: bold and outspoken and public; no longer experiencing, observing, and reacting, but planning and executing, broadcasting and marketing not only their photographs and thoughts but also their travels, corporate sponsors, and lifestyles, and even their most trivial accomplishments, to the widest audience they can reach. Most of today’s photographers no longer spend intimate hours processing and printing their work, and often go out of their way to promote tips and tricks and commercial services for minimizing and shortcutting such prolonged and solitary aspects of photography. In a sense, the tradition perhaps most obviously lost is that of finding profound pleasure and value in the photographic process, not to the detriment of the finished image, but as an indispensable and immensely pleasurable means to it. There are several projects where I use a digital camera as it is the best tool to convey the vision I have of the subject I am photographing. The use of a scanner adds an additional creative tool that allows me to render some negatives suitable for printing either as an Archival Pigment Ink print or to create a digital negative to print on silver gelatin paper. But it is film and the silver print that are at the heart and soul of my creative vision. The process for me is one that is more than just point, click, and check the results. It is one of contemplation, getting in touch with the subject and what I am feeling, and letting the subject “say when”. There is a certain amount of faith involved in making an exposure and waiting to discover the results of the exposure in the privacy of the darkroom. It is magical.